Well it seems as though it has been far too long since I’ve posted. Life and work have been keeping my creative pace going a little slower than usual. My first piece of 2016. I just love losing myself in painted lines and lovely colors. Lovely colors in this one! Nice to see you around – I’d been wondering how you were doing. Happy 2016! Thanks Liz, really appreciate the lovely comment! Your recent work has been stunning! 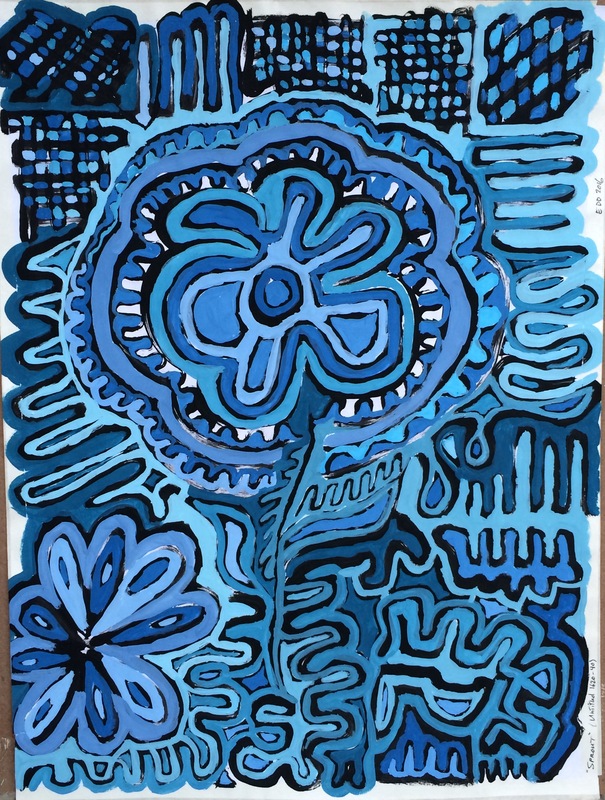 I love the flower-like shape and this wonderful blue – a very sassy and happy piece, I think! Hi Claudia, great description! You picked up on that, very perceptive! Thank you so much! I frequently experiment with blues of differing hues. Glad you liked! I like the movement of this piece. Happiness and fun! Lovely insight, thanks for the comment!